We’re excited that we’ve just launched a brand new fully Kosher inclusive package for Simchas in London at our award winning, themed venue in the centre of London; Madame Tussauds. 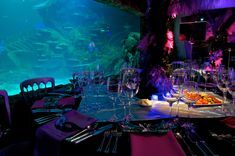 We take pride in organising the most show-stopping Bar Mitzvahs and Bat Mitzvahs that family and friends will be talking about for years and Madame Tussauds (which last month won silver in the National Venue Awards for Best Venue for 500-1000 guests) has a long standing history in hosting truly spectacular Simchas in London. Bar and Bat Mitzvahs are important and special days for you, your family and your child alike, so choosing a venue that can entertain all of you and your friends is crucial. Madame Tussauds has everything you need for Simchas in London to keep kids (and adults!) entertained, with ‘The Spirit on London Ride’ on arrival, Star Wars and Marvel area, 4D Cinema Show and much more. We can also provide extra entertainment options on top and all the traditional elements you need to make the evening perfect such as specialist Bar/Bat Mitzvah Disco Packages that include an interactive Video DJ and a master of ceremonies, and Israeli dancing. Madame Tussauds has been an events venue since the last century, hosting the likes of Queen Victoria and her family for afternoon tea. It’s kept up to date with the latest faces in pop-culture, music, sport, fame and history and in turn, the venue itself has been given the ‘red carpet’ treatment to provide an unbeatable VIP setting for Simchas in London. “Madame Tussauds is a truly exceptional and exciting entertainment space and can make any Simcha come to life”. At Merlin, the fun and the magic is at the heart of all we do. 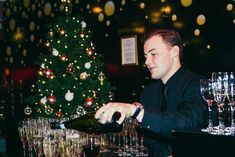 For events, we deliver some of London’s best parties in themed immersive spaces. Contact us and receive a quote within four hours.